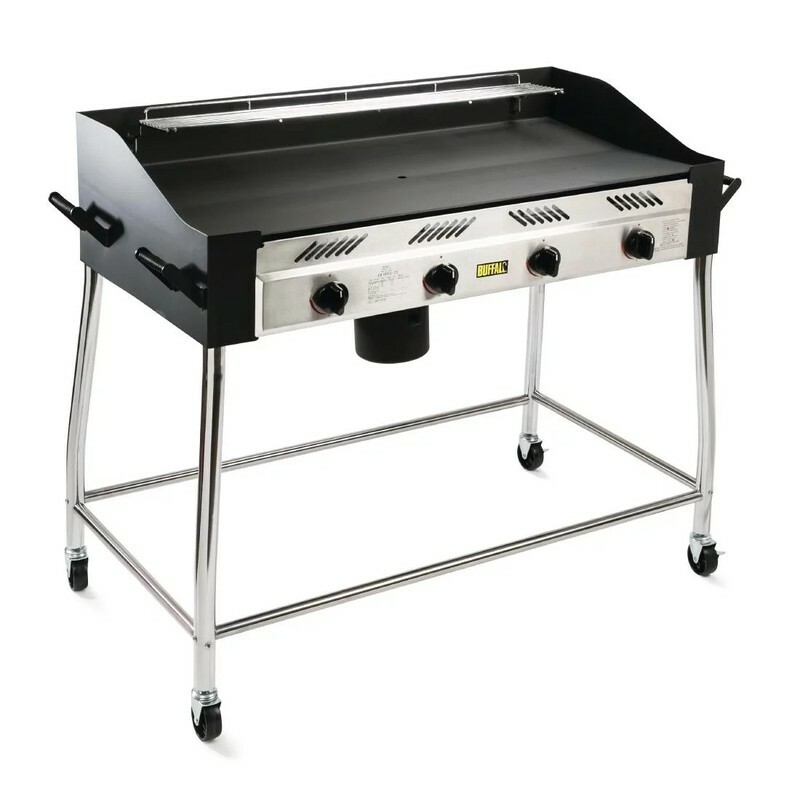 Portable, reliable and incredibly easy to use, the Propane Gas Buffalo Barbecue Griddle is an effective and sturdy solution for large scale outdoor commercial catering. 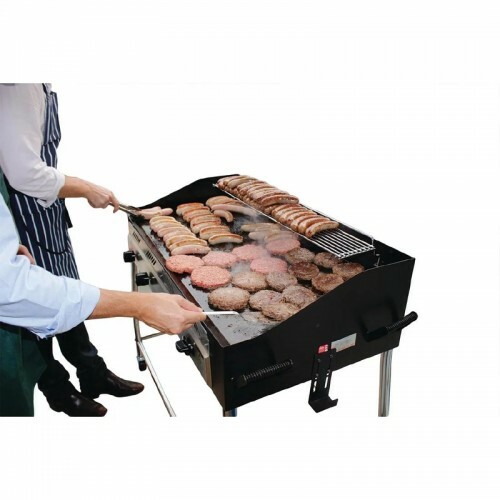 With powerful independently controlled 18kW burners, the versatile griddle surface can be used for a huge variety of foods, from traditional barbecue fare such as burgers and sausages, to eggs, seafood and vegetables, all at the same time. 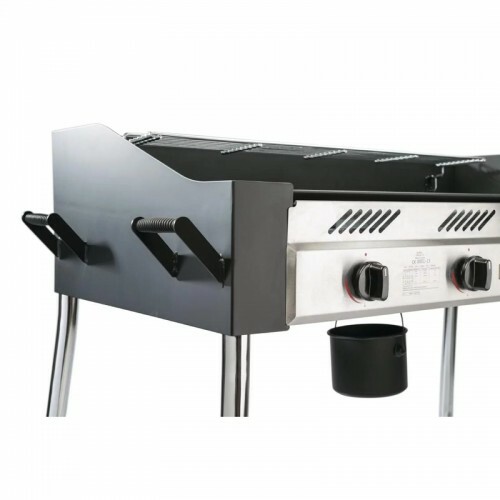 The handy raised warming plate enables food to be kept warm - reducing waste and saving energy, as well as providing a convenient storage area for cooked food in preparation for busy periods. With removable legs for easy transportation and handy push-button ignition, the Buffalo BBQ is equally suitable for catering on the road or as a primary barbecue for any busy outdoor area.